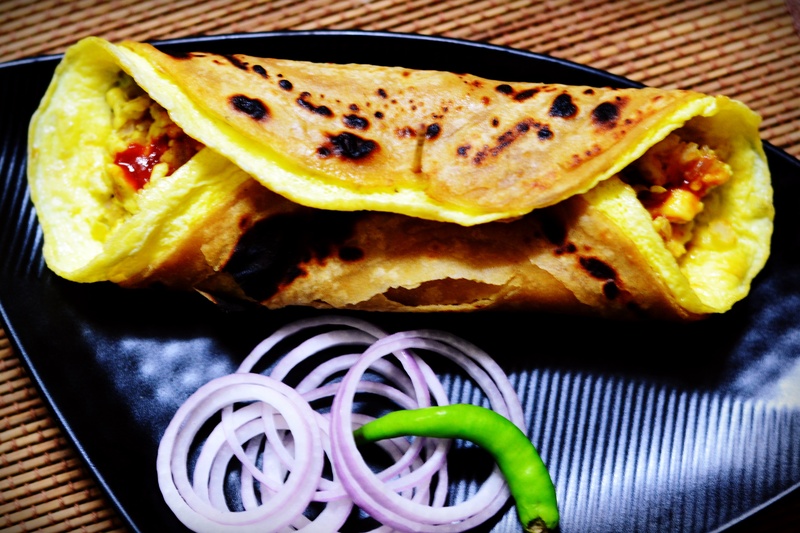 Hey there all the food lovers, this time we are turning to street food. 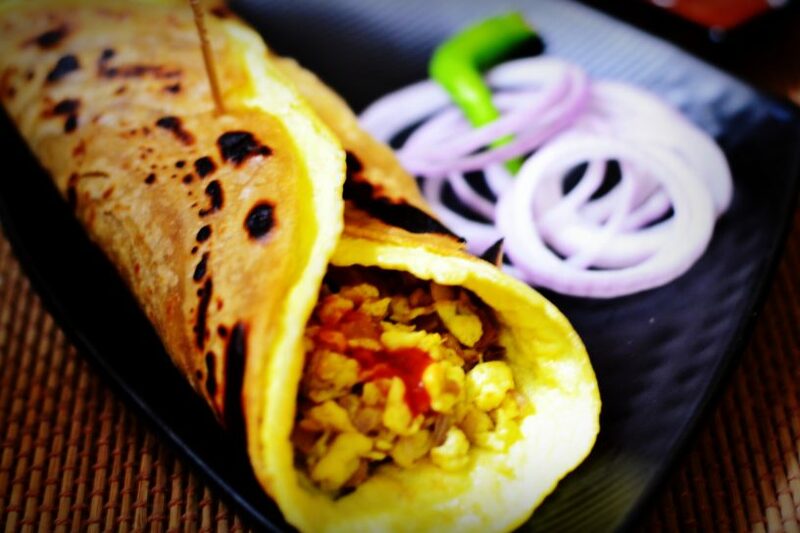 I am talking about one of the very famous street food, at least in India, Katti Rolls. My husband is a big fan of these and I think so many are. The things that concerns me most about Rolls is, the amount of oil used and that tortilla made out of all-purpose flour (Maida sounds scarier, I think). So I thought why not try making it at home. 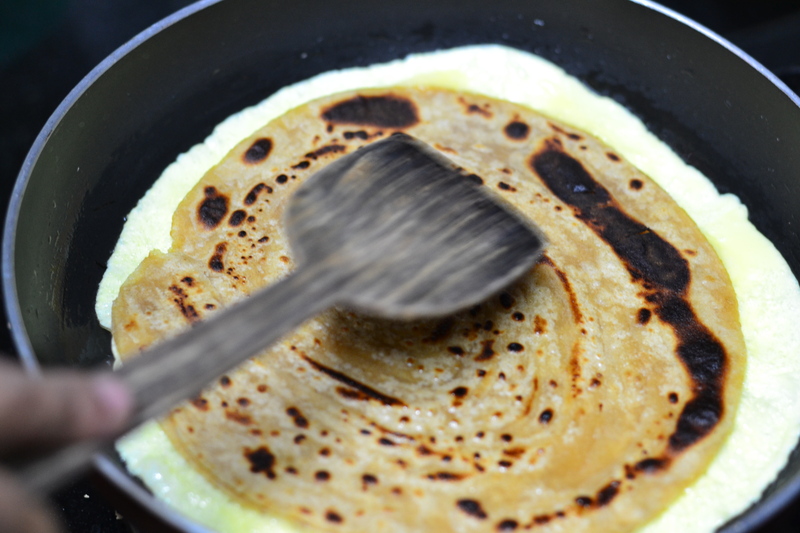 Here we are going to make “Triple Egg Katti Roll with whole wheat tortilla”. It’s very easy and fast and one doesn’t have to worry about oil and flour any more. So let’s get straight to work. 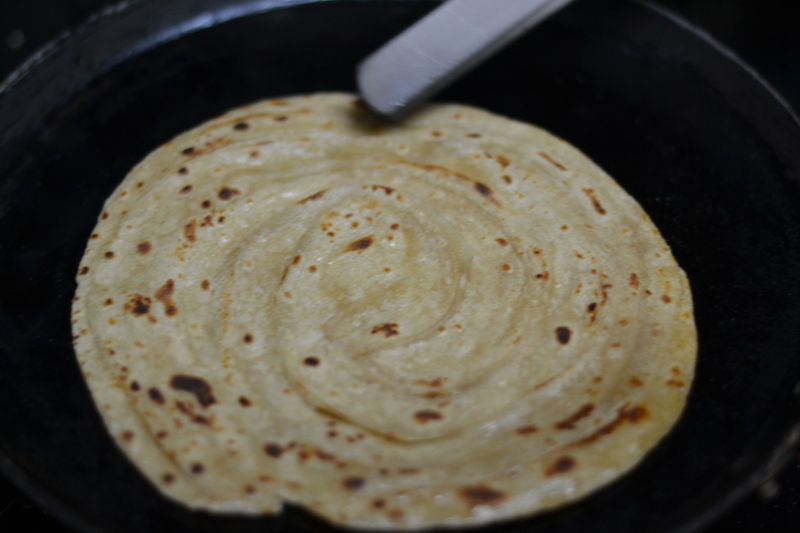 First thing that needs to be done is tortilla, which is basically laccha paratha in this case. There are many techniques to make it. I am gonna share mine but you are free to make it as you like. 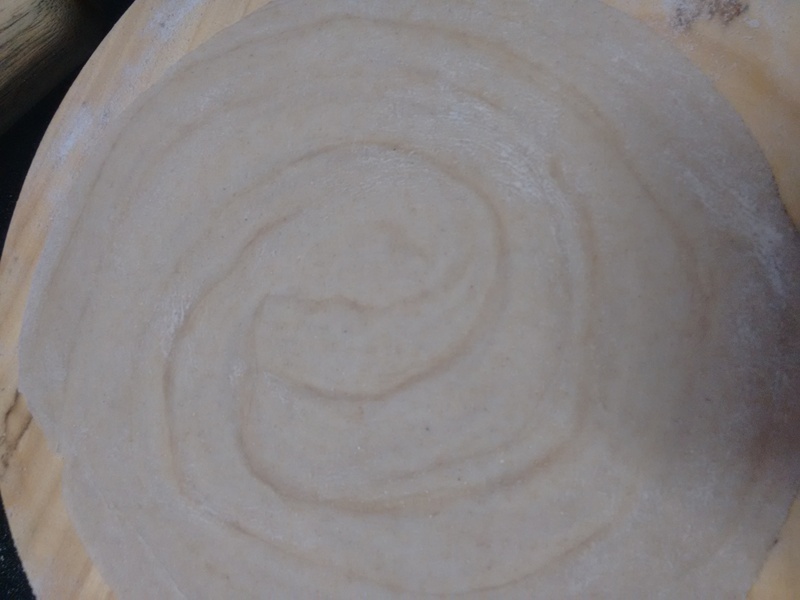 Take a ball of dough and make flat bread/Roti out of it. Now smear some oil the surface. 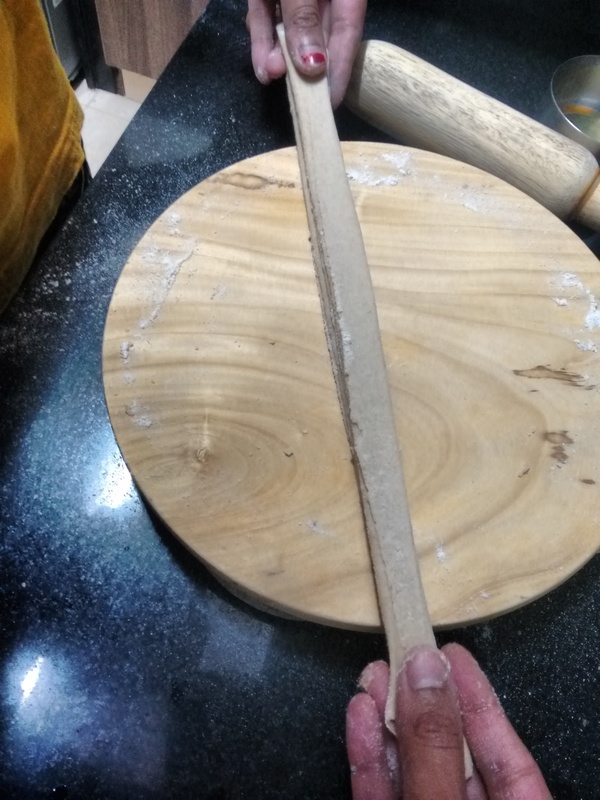 Dust some flour on it and we are going to start folding it. 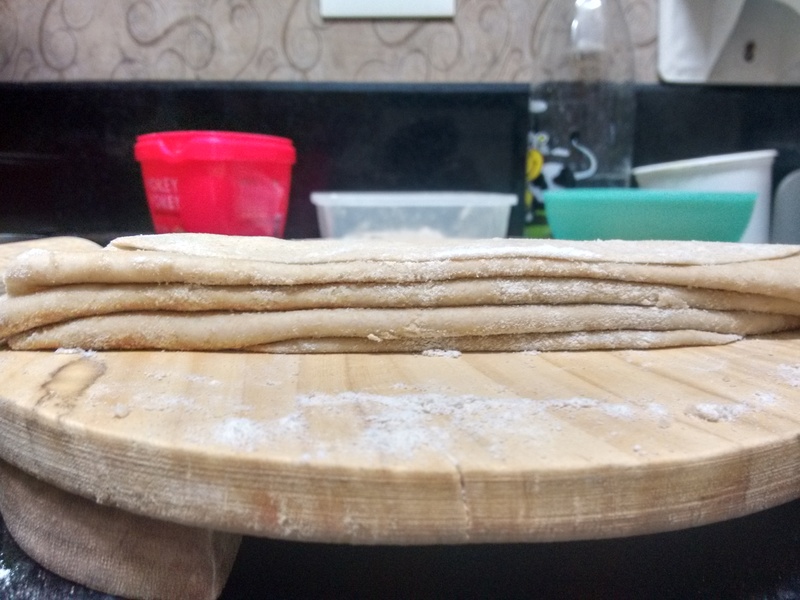 From one end start folding it in pleated manner till you hit the end. I have picture will make it clear, I really don’t know how to explain it in words. Let me know if you have difficulty I will try to create a video. Stretch it lengthwise and roll it. 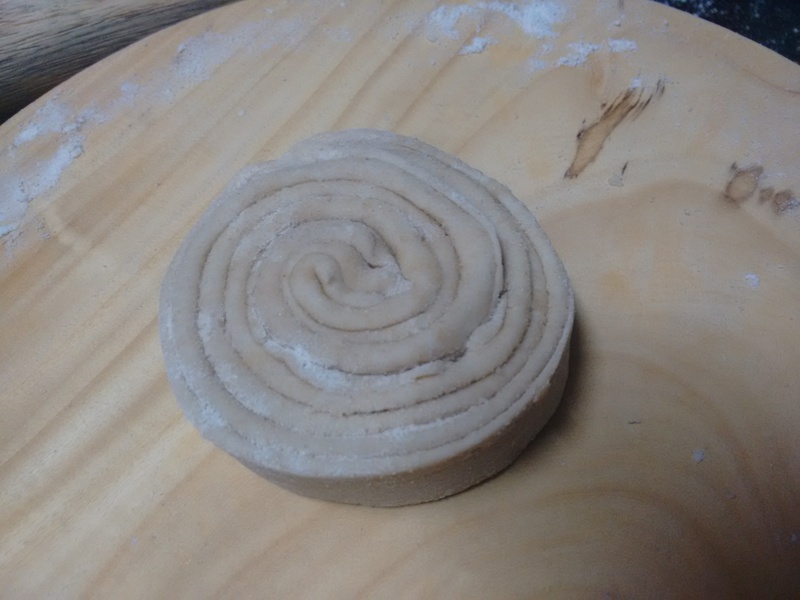 After this you should have pleats facing upwards otherwise you have rolled it the wrong way. Do not forget to seal the lose end by pinching it lightly. That is it. 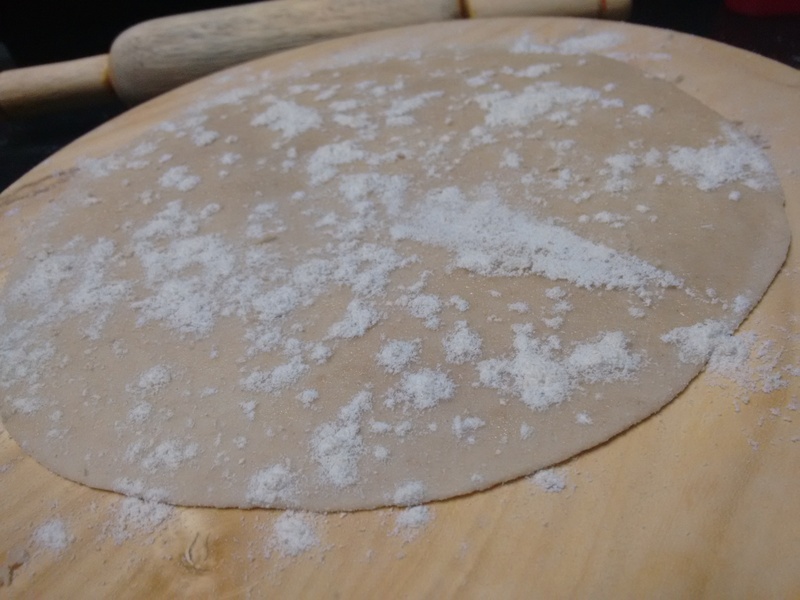 The tough part is over and now you can roll this like normal flat bread again. 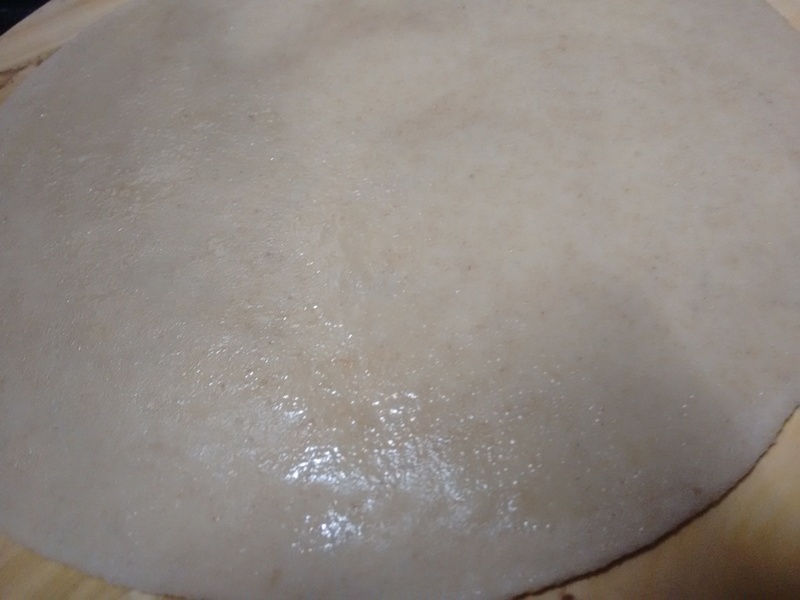 Heat a flat pan and put the tortilla on it. Once it starts to get cooking flip it and apply some oil on top. 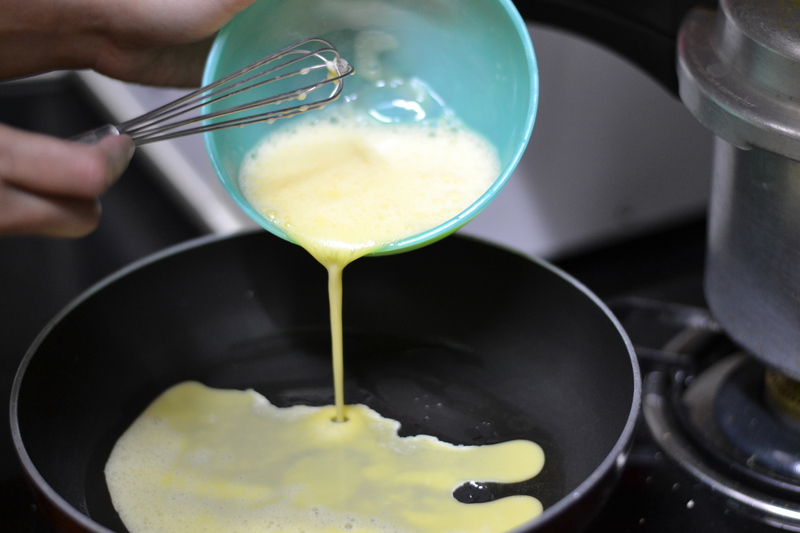 Now flip back and apply it on the other side and flip it again once the first side is cooked. Time to crack the eggs. 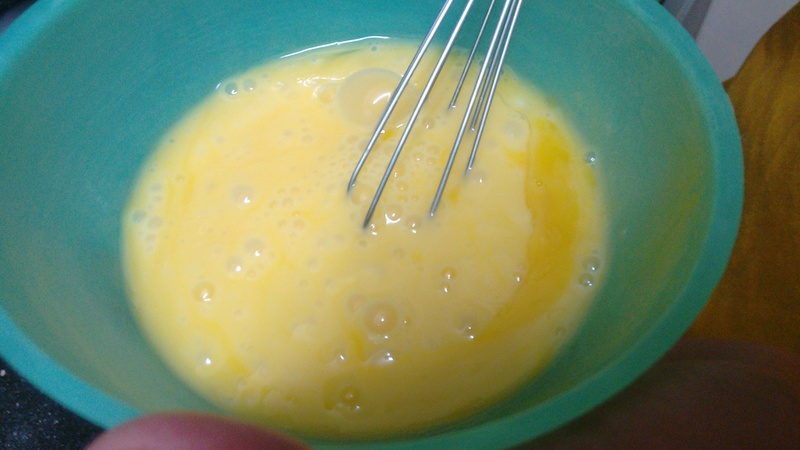 Crack them in a bowl and whisk it for 2 to 3 minutes. Take a frying pan or you can use the same as before. Again add 1 tbs of oil and let it heat. 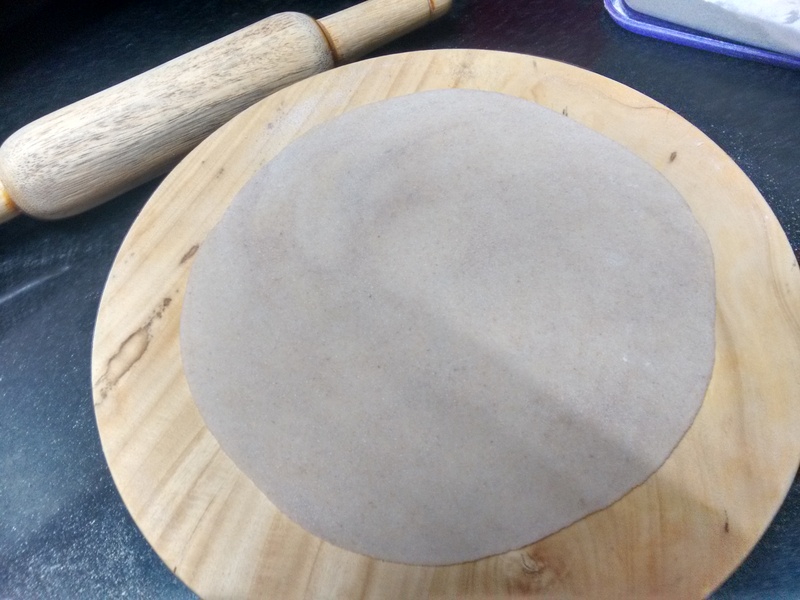 Once it starts to cook, put your tortilla on it and let it continue cooking. 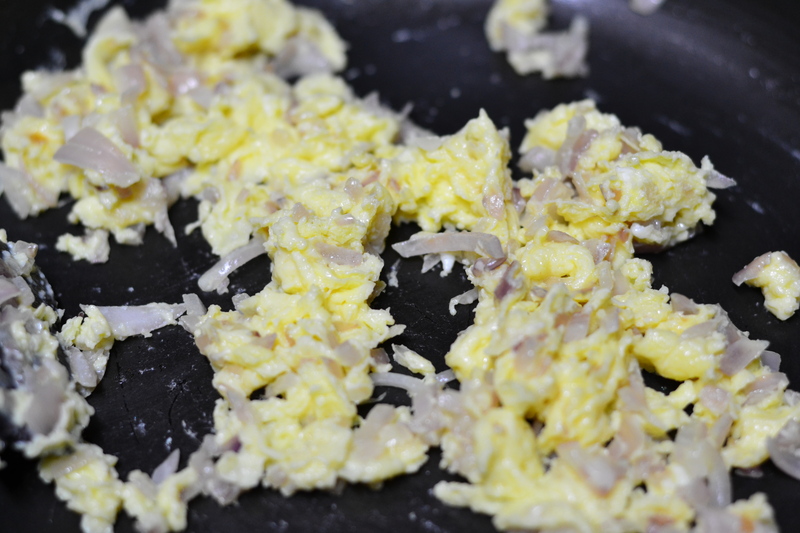 If you start seeing brownish spots on the side covered with egg, it is done. Flip it once and take it out in about 30 seconds. Again in the same pan add 2tbs of oil and heat. 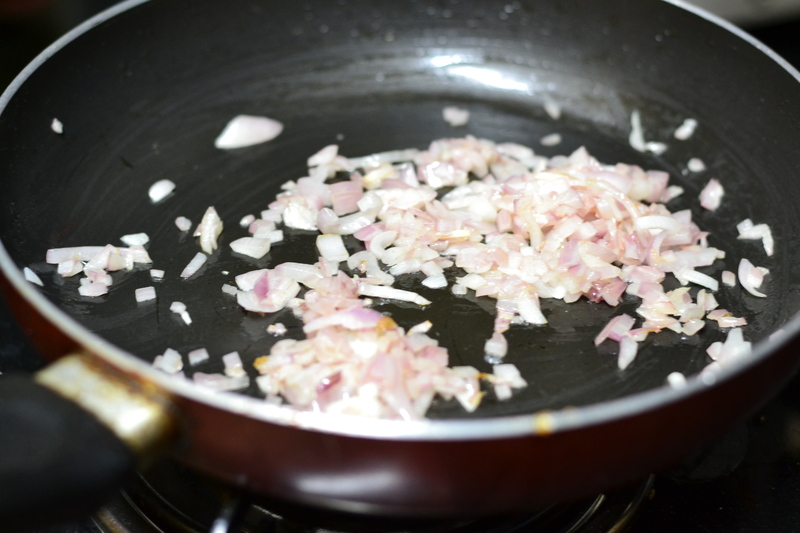 Throw in your chopped onions and sauté for 1 to 2 minutes. We do not want onions to turn brown. 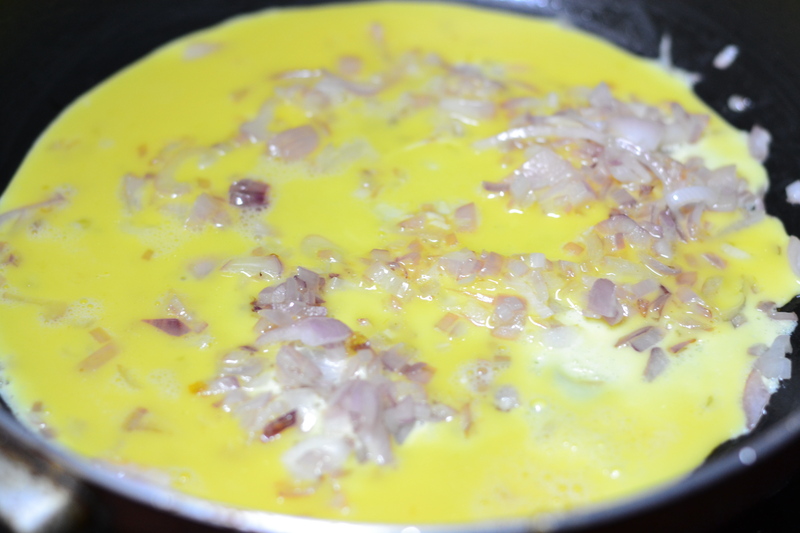 Now add rest of the eggs. 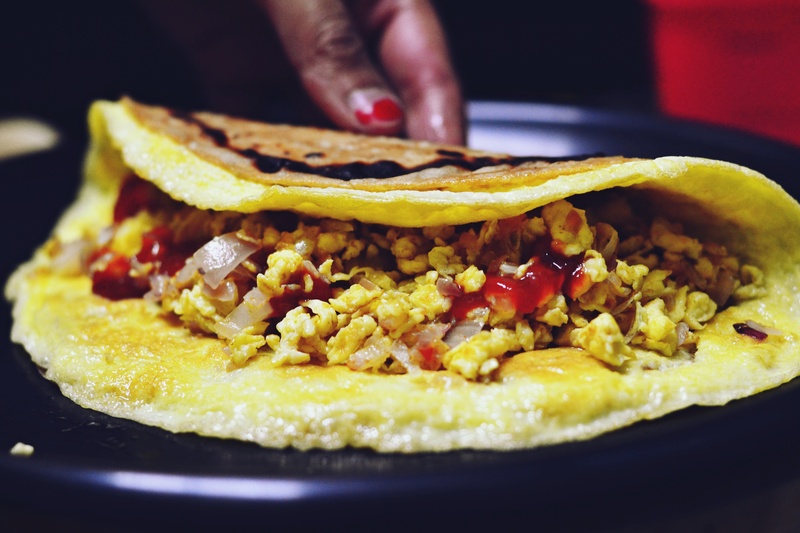 What we are trying to achieve here is egg burji kind of a thing. 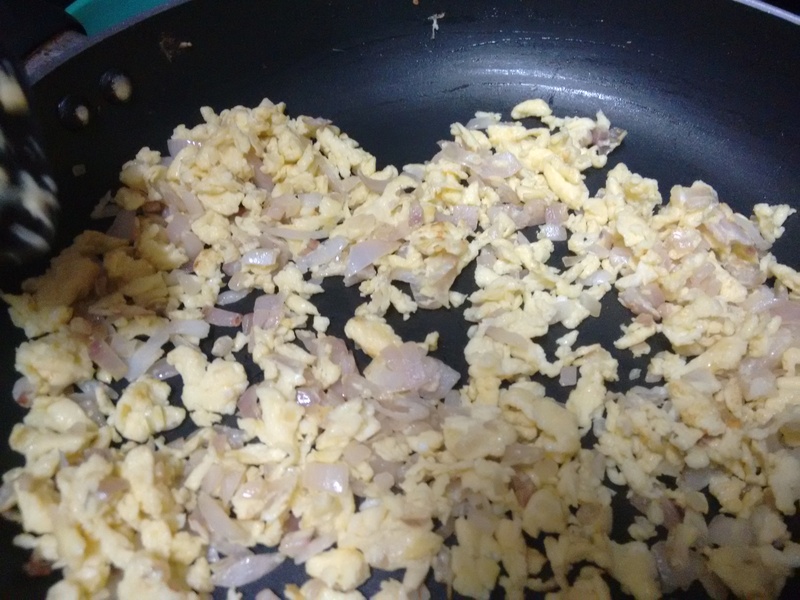 Sauté till eggs seems to get dry and stops sticking to the pan. Switch off the flame and add green chili sauce and mix well. Filling is now ready. You see that cooker on the back burner, that’s my dinner in there as I do not eat egg. Time to assemble now. 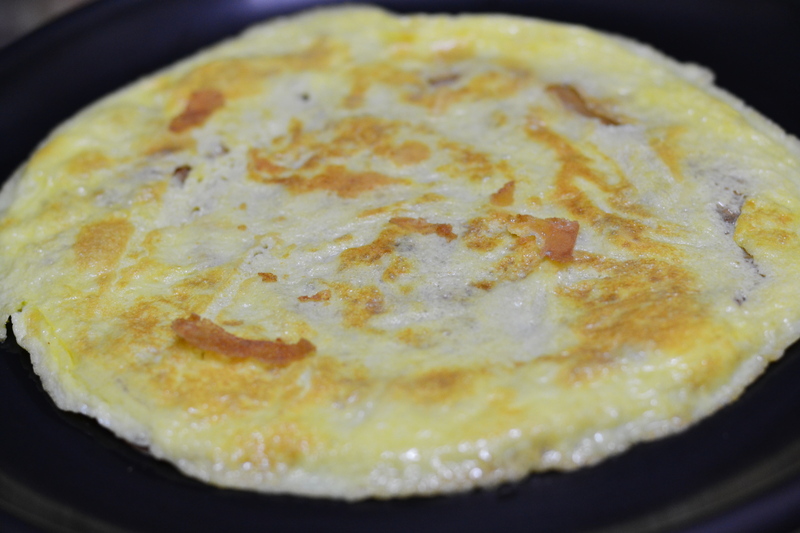 Bring back the tortilla, egg side facing upwards. Drop the filling in the center. Drizzle some tomato sauce and roll. Here you go. 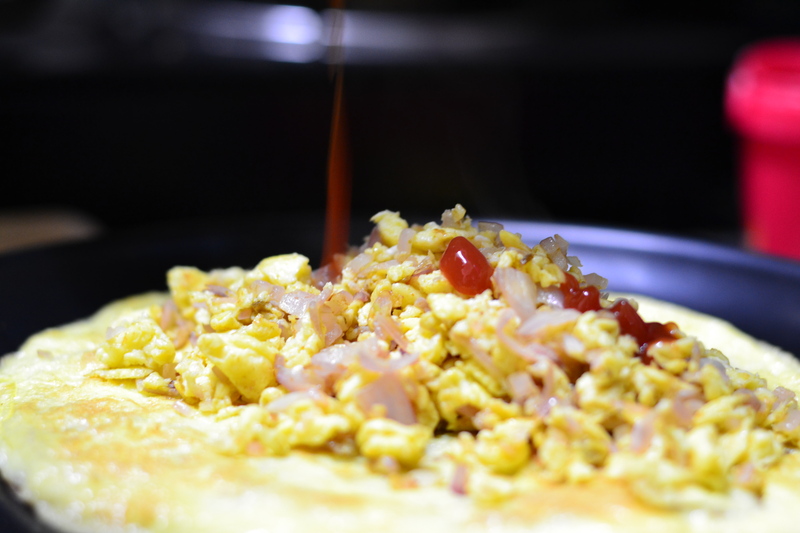 Our “Triple Egg Katti Roll” is ready. I hope you enjoy it as much as my husband did and do share your variations for the recipe. Improvising is the heart of cooking. Note – You can very well reduce or increase the number of eggs and the size of tortilla mine was gigantic, I know. Two small ones can be made out of same. 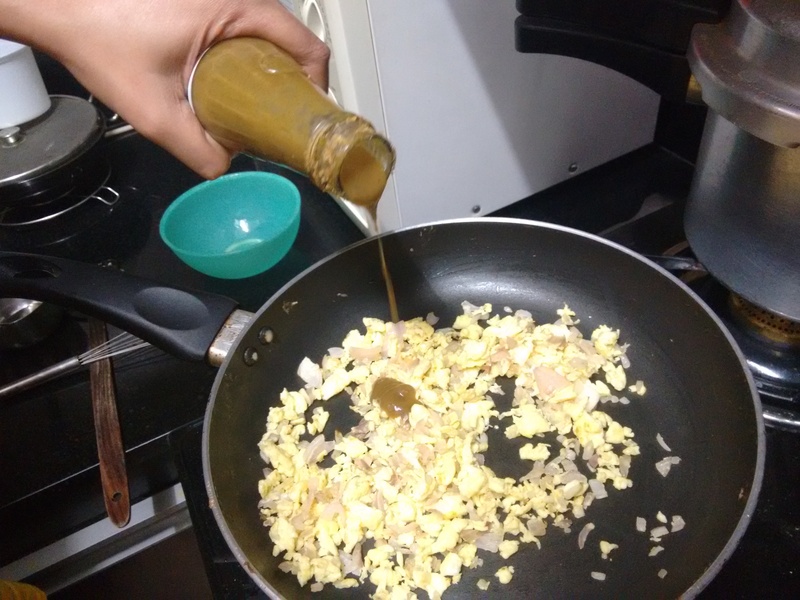 As you must have noticed, I did not add salt as both the sauces have salt in them but if you need then do add some salt in eggs.